A new article in this month’s HSToday magazine, which you can buy on the newstands if you are in the US, or can see here free online. If I get the whole text later, I will post it here, but it is easily accessible through the link, so do try. It provides an overview of what happened last year in terrorism in Europe and looks forwards to what the next year holds. Thanks to Guido, Peter, Brynjar, John, Lorenzo and others for informing my research for it. The threat is fragmenting and budgets are shrinking. Up until the parcel bomb plot emanating from Yemen was discovered at Britain’s East Midlands Airport in late October, it seemed as though the choices made were all the correct ones. And even there, the discovery of the plot was in part due to the attentive efforts of British spooks monitoring the airwaves and overhearing messages passing between Al Qaeda in Pakistan and their Yemeni affiliate Al Qaeda in the Arabian Peninsula (AQAP). The plot itself surfaced at a moment when Europe was in a heightened state of alert following a spike in media attention about a wave of Mumbai-style attacks on European cities. The alleged plot seemed to be focused around a group of cells with links to Pakistan’s badlands that were all apparently being tasked with operations that emulated the successful Mumbai attack in November 2008 undertaken by Al Qaeda synonym Lashkar E Taiba. Lia was also quick to point out that, while this threat clearly alarmed security officials across the continent, it remained unclear how advanced it really was. While he did not deny that the threat was likely real, it is not certain that a Mumbai-style plot was what was actually being planned in this case. One former British Security source interviewed by Homeland Security Today who requested anonymity, pointed out that it was likely the information was put into the public domain since security services may have been concerned they did not have complete coverage of the plot. As is the case with plots that are disrupted before they can reach conclusion, it is never certain what exactly the plotters were up to, a situation emphasized here, where an unknown number of the supposed plotters were killed during unmanned aerial vehicle (UAV) strikes in Pakistan. Much of the information available about the possible Mumbai-style plot appears to have come from confessions supplied by Ahmed Sidiqui, an Afghan-German national who was captured by American forces in Kabul in July 2010. Sidiqui is alleged to have supplied a wealth of information about his fellow plotters in Pakistan, including the fact that he had met Mohammed Ilyas Kashmiri, Younis Al Mauretani and Mohammed Al Quso, senior Al Qaeda figures who apparently mentioned to him that they had units already deployed in Europe preparing for a Mumbai-style attack. Further information was also received from an anonymous German extremist who was reportedly providing authorities with information in an attempt to barter his safe return home. This information, alongside intercepts collected by British monitoring services and doubtless other sources, was behind a spike in UAV strikes in September 2010 apparently in an effort to disrupt the plot. However, aside from the confessions supplied by Sidiqui and intercepts, the only tangible proof that cells were armed and ready to strike European cities came when French police busted a set of cells in Avignon and Marseille with links to networks sending fighters to Afghanistan. Those arrested had an AK-47 and a pump action shotgun in their possession. All sources for this article suggested that others may still be out there, and security forces in France, Germany and the United Kingdom made numerous public displays of strength through the deployment of heavily armed police in public places. While the weapons were found in France, the biggest component of the plot, according to Guido Steinberg of the German think-tank Stiftung Wissenschaft und Politik, was actually in Germany. Steinberg, a former counterterrorism official in the German chancellor’s office, has been watching the threat in Germany with growing alarm. From being a small feature of the jihadist scene linking Europe to the badlands in Pakistan, Germany has now become one of the major loci of European terrorism. According to Steinberg, “There is now a Turkish and Germanspeaking infrastructure in place,” something that was absent “before 2006,” making it easier for young Germans to go and fight. But as the dates suggest, this is not an entirely new phenomenon, and German fighters have been a feature of the jihadist threat spectrum for a few years. However, what surprised Steinberg was the dedication of the young fighters. “I used to think that they would not want to go somewhere where they were likely to be killed,” he toldHomeland Security Today, something that would have become ever clearer as stories emerged of German citizens dying on the battlefield. Most prominently, in May 2010, a few days after his death on the battlefield, as reported on extremist websites, the diary of Eric Brenninger was published online. A long and rambling tract, the memoirs provided the clearest publicly available insight yet into the minds of the community of young Germans serving alongside the Taliban in Afghanistan. Starting by describing his life as a dissolute young man in Germany, Brenninger’s memoirs tracked his embrace of Islam in 2007 and his decision four months later to go and join the fighters in Afghanistan. As he put it, “I knew my duty. I wanted to join the jihad. … We followed the events which were unfolding in the regions of jihad and watched films of mujahedin battling the crusaders. Hate of the kuffar [unbeliever] grew in me.” It is hard to provide a precise figure on the number of angry young men in Germany, but according to official figures, there are some 30 returned fighters who are on a list of some 200 “dangerous persons” at liberty in Germany. There is a second list of some 1,000-plus individuals who are on the radars of the security services, but according to Steinberg, “They don’t know who is really dangerous.” Some of these people, like Brenninger, are clearly little more than cannon fodder, but their motivation and capacity for free movement in the West means they pose a potential threat. But, according to Lorenzo Vidino, a visiting fellow at the Rand Corporation and a US-based Italian terrorism analyst and most recently author of The New Muslim Brotherhood in the West, while it is the growth in the threat from Germany that has been one of the most interesting features of recent times, 2010 was most clearly marked out by a noticeable up-tick in the threat in France. It was subsequently revealed that his services had received a series of quite specific warnings from their Algerian counterparts about the threat from Al Qaeda in the Islamic Maghreb (AQIM). Then, in October, he took to the airwaves once again to talk about a “new message, from the Saudi services, indicating to us that Al Qaeda in the Arabian Peninsula was certainly active, or expecting to be active, in Europe, especially France.” Statements from heads of French intelligence services repeated much the same message as these worrying calls, while AQIM kidnapped groups of French nationals in North Africa. But while this seemed to be in direct support of AQIM attempts in North Africa, in late 2010 it seemed as though on the French mainland it was networks of returnees from the Afghan-Pakistan battlefields that were of greatest concern to the French authorities. Following an unspecified intelligence tip-off, French authorities alerted their Italian counterparts of the arrival in September of Ryad Hannouni, a young man of Franco-Algerian origin who was involved in a network sending fighters to South Asia. His arrest in Naples led a month later to a further series of arrests in France that appeared in part to be linked to the Mumbai-style attack threat menacing Europe. Then, in early November, a group of four men and one woman was arrested in Paris as part of a “conspiracy to prepare a terror attack.” At least one of them was prepared “to die in their fanatical attack,” and one had recently been to Afghanistan: Two of the men were intercepted at the Paris airport returning on a flight from Egypt. There are apparently 25 individuals of grave concern to French authorities who have trained in Afghanistan and may be on their way home. For the United Kingdom, on the other hand, it would seem as though the threat has entered a relatively calm period—at least on the surface. The new British coalition entered into government with great expectations of shifts in counterterrorism policy, but has instead opted to change very little. Most notably, the controversial “control order” regime remains in place – by which individuals are kept under strict conditions of house arrest when they are of great concern to the security services, but cannot be convicted of any crime – and the government has not yet made any great changes to the much maligned “Prevent” strategy. Late in the year, the government announced an overhaul of Prevent, but as with the control order regime, it was unclear that the government had managed to clarify its position, clearly now seeing the issue in the same light as the previous government, which had been unable to find a solution. Information published by the Associated Press suggested that Government Communications Headquarters, the British equivalent of the US National Security Agency, estimated there were some 20 Britishborn militants in the North Waziristan district, with phone calls being traced between the region and the Midlands, home to many of Britain’s South Asian minorities. According to Pakistani intelligence, the British end of the previously mentioned Mumbai-style attack apparently centered around a pair of British-Pakistani brothers, either from east London or the Midlands. 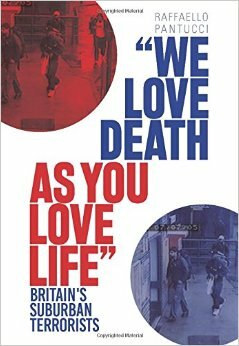 There is a long history of young Britons going to both locations – and in the past, this has resulted in terror plots both at home and abroad. In late 1998, a group of young British Muslims linked to Abu Hamza Al Masri, an Egyptian militant now in British prison, was arrested in Yemen as part of an alleged bomb plot and a series of kidnappings that resulted in the deaths of foreign tourists. In May 2005, shortly before the London bombings, a group of young men who were part of the network of extremists that attempted the July 21, 2005, copycat bombings of London’s public transport system, traveled to Somalia as part of an unlikely pilgrimage to a war zone. Furthermore, two of the subsequent 21/7 bombers were of Somali origin, while the support network was made up of a number of individuals from Britain’s Somali community. This network aside, the closest a Somali network has gotten to striking in Europe was the attempted murder of Danish cartoonist Kurt Westergaard on Jan. 1, 2010, by Mohammed Gelle, a young Somali-Dane who was previously linked to Shabaab networks in Kenya. Gelle’s frenzied assault on Westergaard’s house with an ax was in revenge for the cartoonist’s contributions to the infamous Danish cartoons that have made Denmark one of the many European targets for Islamists. According to sources in Denmark, it seems as though security services had attempted to recruit Gelle in the wake of his arrest and release in Kenya as part of an alleged network targeting US Secretary of State Hilary Clinton’s visit to that country. Having helped him get home, it seems the security services lost control of the young man and were simply too overloaded to maintain full surveillance. In late 2009, Danes were shocked to discover that another Somali-Dane, likely an acquaintance of Gelle, was behind a suicide bombing in Mogadishu. Nevertheless, according to Norwegian expert Brynjar Lia, the problem is seen “as something far away and complicated” and in a place “where there has always been war.” Most cases linked to Shabaab in Scandinavia are related to fundraising, meaning they remain “far away and irrelevant” in the public mind. Similarly, until the parcel bomb attempt emanating from Yemen, the threat had seemingly stayed away from Britain’s shores. In March, British police arrested Bangladeshi-Briton Rajib Karim for plotting in the United Kingdom, fundraising and providing information to networks abroad – allegedly AQAP. The case is currently rumbling through the courts and in initial statements police claimed he was planning suicide bombings in the United Kingdom. This is unlikely a harbinger of violence on the scale seen previously, but the increasing attention these networks will command is going to distract already stretched resources to the limit. In July, John Yates, the head of British counterterrorism police, announced that the levels of cuts the police were facing was going to “raise the terror risk,” though he was quickly condemned by government officials, who told him to avoid shroud-waving and raising public alarm. In fact, individuals interviewed by Homeland Security Today in both Germany and the United Kingdom have told of stories of counterterror units being oversupplied and officers with nothing to do being reassigned to other tasks. But it is almost impossible to know what this actually means: Is there a lack of intelligence or genuinely no threat? Vidino, the Italian counterterrorism expert at the Rand Corp., recounts the situation in Italy where forces have noticed stagnation in the domestic threat, and parallel budgetary pressures to focus on the threat of organized crime. The biggest danger, in fact, probably lies in the known unknowns in the shape of lone wolves. For Peter Clarke, the former head of Counter-Terrorism Command in the United Kingdom, the most interesting case in 2010 was the attempted assassination by Roshonara Choudhry of UK Member of Parliament (MP) Stephen Timms. Using the Internet to identify Timms as an MP who had “strongly supported” the invasion of Iraq and radicalized by videos she found on YouTube of Abdullah Azzam and Anwar Al Awlaki, Choudhry stopped attending her university course, bought some knives, cleared her debts and made an appointment to see Timms. Arriving at Timms’ constituency surgery (an allocated period of time when MPs make themselves available to people living in their areas) on the afternoon of May 14, Choudhry patiently waited her turn before stabbing him repeatedly when he came to greet her. Claiming that she hoped to become martyred in the course of her operation, Choudhry did little to resist detention and openly confessed her actions to police. What worries Clarke about this attack is both its random nature and the fact that it marks the first time a non-military individual has been targeted in such a fashion by Islamists in the United Kingdom. There have been hints of these sorts of attacks in previous investigations, but this is the first time a lone jihadist attempted to carry out an action. Given the tendency for copycats to follow, this may mark a new threshold in the threat in the United Kingdom, a nation that has already repeatedly faced the threat of lone wolf terrorists. None, however, was as coherent as Choudhry, who, while clearly warped, did not seem as mentally deranged as some of the others. Targeted killings: what are the alternatives?